Saudi Arabia, is being backed by the United States and the other of the the feudal kingdom’s supporters, including Australia, in the carrying out of a genocidal war that is targeting civilians. Following is a graphic illustration of the impact of a recent air strike. 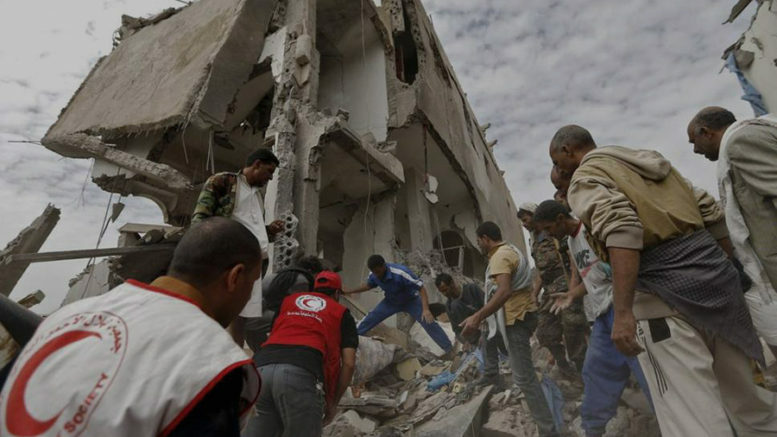 #Saudi airstrikes kill 21 civilians in #Hodeidah, #Yemen. Stop arming the monsters in #Riyadh . 26 October 2018. Thank you Middle East Eye. 2 Comments on "Video: Thousands of civilians killed in Yemen"
I am disgusted and horrified that the word HUMANITY is not EVER thought about when chasing financial and political goals. Let the poor, the innocent and the UNARMED die and let us talk about the “horror” of a pipe bomb which MIGHT have killed a famous person.